In a major first, Facebook has chosen an Indian startup Tookitaki as it first Facebook Marketing Partner from the country, as a part of its Facebook Marketing Partners Program. The program was created to help businesses scale their marketing efforts on Facebook. Facebook Marketing Partners is built on the idea that better partner matches improve performance for marketers. The program globally features hundreds of partners, new and existing, categorized based on the areas of expertise marketers need most. These could range from scaling and optimizing Facebook ad campaigns, content marketing, community management, and other such solutions for startups and small businesses alike. The choice of first Indian startup Tookitaki for Ad Technology points out to Facebook’s increasing thrust on the Indian startup system. We spoke to Kiran Raghavan, Head of APAC, Marketing Partners Program, at Facebook about the program’s commitment to helping brands build, grow and monetize their businesses, and foster an environment of innovation in the country. Here are the excerpts. Inc42: Tell us more about the Facebook Marketing Partners Program. Kiran: If I wanted to share three things about the focus of the program, they would be the following. The program was designed to foster innovation amongst startups, developers and service providers across the globe. Secondly, the goal was to help marketers with these partners/experts find the kind of scale and performance that aligned with their business objectives that they were trying to get out of their digital marketing efforts. And lastly, as a result of working with a large number of startups, the goal was also to create employment opportunities and nurture talent as they grow from smaller, bootstrapped companies to very large companies across the globe that are part of the ecosystem today. Inc42: Any particular criteria when you look for partners? Do they have to be in a specific field? Kiran: One most important aspect of the program, when we launched the program in February this year, was that we wanted our mutual clients to get more clarity about how we differentiate between these partners, afford them more choice and ability to distinguish between these partners, and indicate where our partners are having more impact. What we did was we relaunched the program with 9 areas of expertise which we are calling speciality at this point – Ad Technology, Media Buying (US Only), FBX, Community Management, Content Marketing, Small Business Solutions, Audience Onboarding, Audience Data Providers and Measurement. Each speciality has an associated set of stringent criterion that are required of a company we work with. Once these partners are spotted in the Identification phase, in the next phase of the program which is the Induction phase, we need to ensure they are taking the journey to meet or exceed the criteria within that one or more category they have identified. We, then work very closely with these companies to help them find ways to meet or exceed the criteria. Once they are eligible to earn a place in the program, they make a formal application. We review their application and ensure they have met all criteria. The last phase is the Innovation phase – i.e. once they have got some amount of scale and are officially badged, like Tookitaki has become in India and are working with our clients to drive performance. Then they have an opportunity to find the areas of innovation, to further exceed customer expectations of them. Inc42: Tell us the reason behind partnership with Tookitaki. Kiran: We came in contact with Tookitaki in 2013, through a combination of our own prospecting in the market as well as because of our relationship with an investment company that had stake in them. They were introduced to us and they presented their idea. That idea has gone through a number of iterations through our support, based on market feedback. Today, what Tookitaki is able to deliver for our mutual client is a self-learning tool that is able to use knowledge that they have built over time based on data analysis/prediction in key areas such as customer behaviour patterns in a social world across multiple channels. This tool helps the marketers plan their media spends. They are able to make predictions that the advertisers are able to make advantage of. Each rupee goes a longer way in achieving the customer’s objective. They can thus make informed decisions on how to make use of their marketing spends. 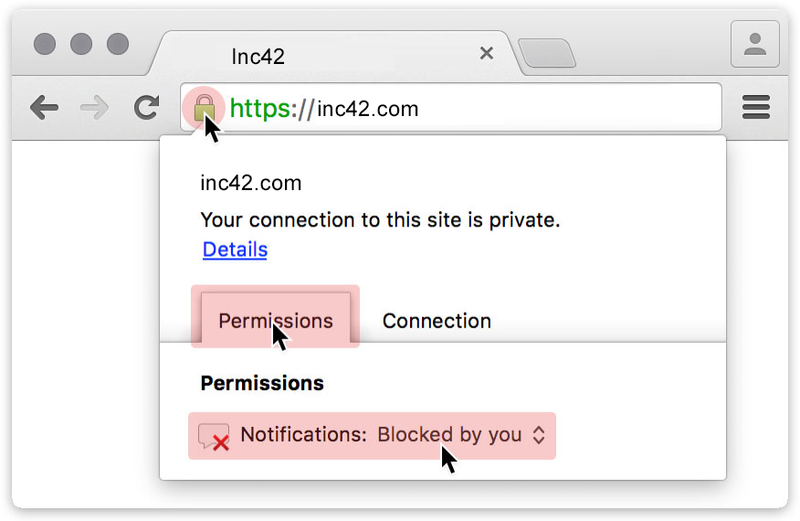 Inc42: How exactly is this program helping startups? Kiran: In terms of how we work with startups – one of the things about all efforts run by Facebook across the globe worldwide, is that there is a huge focus on finding nimble companies that are essentially founded by very smart individuals looking for investments. And what this program is essentially trying to do is reactively respond to companies in the digital marketing space who are interested in partnering with Facebook and our mutual clients. Secondly, we are working with investment companies globally to help identify some of these important players in different markets so that there is investment that follows the innovation we are trying to drive.. In this way, we are able to identify a group of small companies that want to take their growth to the next level by partnering with us. As a result of the success these small companies see over subsequent months, they automatically look to expand their teams, grow their people across sales, customer support and engineering. Inc42: Tell us about the “money” aspects of the program. Kiran: There is an intrinsic win- win situation built into the program and it is entirely based on delivering real business value to marketers. The way we have designed the program is that partners must meet specific criteria that aligns them with one of the 9 specificities in the program. Once the mutual client begins to leverage the product and service of our partners, they should start to see better results – better returns for their marketing spend and better insights. As a result they can reprioritize and reallocate their media spends to the direction that gives them the best result. Those results that increase towards Facebook automatically result in us recognizing more value for the client. So it’s a win-win situation for all from that perspective. Inc42: How many startups have benefited in India from the program? Kiran: There are hundreds of companies worldwide that are part of the program. A large number of these companies are startups. These companies have gradually expanded their coverage, they have expanded markets and established joint ventures and in some cases, also gotten acquired by large companies. Case in point, Salesforce.com has a marketing cloud, which was formed by acquisitions of many smaller companies that were originally part of our program. We don’t put a cap on numbers, we work with companies where there is true value that is being delivered. We started off way back in 2013, when we had a small hackathon (a part of Facebook culture). We leveraged this part of our culture to identify talent. Tookitaki was also born out of that initiative. Inc42: How do you see the future of the program? Any plans for expanding the program? Kiran: We are now focused on our partners taking a vertical specific approach to the market. We are making a strong effort to focus our partners on specific industries – large and small ecommerce companies (this industry will continue to get momentum). Other industries which we are focussing on are classifieds space, FMCG etc. Accordingly, we will expand not only according to specific industry but also city wise, if the need be. India is a huge priority for us now. Right now, most of our partners are based between Bangalore, Delhi, Mumbai and Pune. From here, we plan to expand to more cities, foster more startup activity, focus on innovation and nurture more talent in India. In today’s world, Facebook has become one of the most important channel for a business to build its target base and reach out to more and more consumers. The program aims to help businesses and brands add scale to reach new audiences, to buy media more efficiently and to make the most of their media spends. It has the potential to help startups drive their marketing and scaling efforts on Facebook, choosing the right partners for doing so. With Kiran clearly stressing that ecommerce, classified and FMCG industries are the focus of this program, with plans to add more vertical specializations, it is a clear signal for startups and businesses in these segments to leverage this program to their advantage. Simultaneously, it is evident that Facebook also is quite bullish on the burgeoning ecommerce market in India.